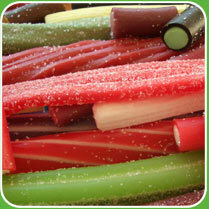 CP Extrusion is your global specialist for Confectionery and Petfood Extrusion systems. We develop and build user friendly, high quality machinery from complete turn-key extrusion based production lines to smaller parts and equipment fitted into your present production line. We can also assist you with plant improvement, product development and spare parts. CP-Extrusion is a front runner in new developments in order to always be capable to meet the ever-growing demand for quality and performance at a competitive price level. We are well known for our innovative and flexible approach of your problems and demands. Safe, sanitary, quality, economical, and environmental are keywords for our equipment. Please feel free to browse our brand new website. There you will find brief information about our confectionery and petfood production equipment.